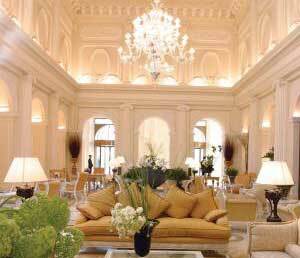 This selection of hotels in Rome features places which are a cut above the average. Some are small and lovingly-run boutique hotels and B&Bs, others are larger modern design hotels. 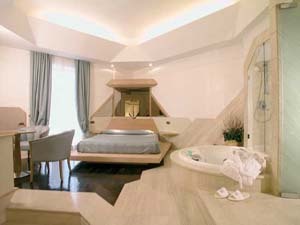 All offer something special to the traveller, whether it is cutting-edge design or simply a fresh up-to-date aesthetic. In addition to our brief descriptions below, readers can click on the booking link to read more about the hotels, including the latest guest reviews. I have selected the best of Rome's special, unique and stylish hotels, but as trendy hotels are frequently expensive, and occasionally don't put enough effort into customer service, I would strongly advise reading the most recent feedback before booking. If you are looking for traditional surroundings and value-for-money accommodation, you can also try our other hotel pages (links on the left) for a wider selection of places to stay. What could be cooler than Roman ruins in the building and a stylishness which combines four-poster elegance with plasma-screen modernity? 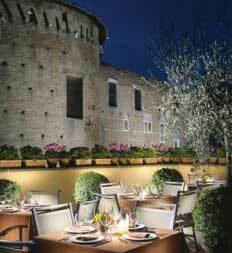 This contemporary hotel is an ideal place to stay for an elegant, unique break right in the heart of Rome - it has a great location close to the Roman Forum and the Colosseum. One of the Small Luxury Hotels of the World, and with only 12 rooms, this is a hotel which offers just about everything the discerning traveller could wish for. Book well in advance to avoid disappointment. 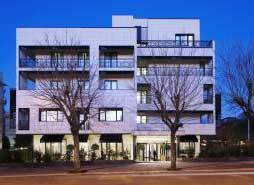 Outside the historic centre in the busy Ostiense area (notable for nightlife, a pyramid and the Protestant Cemetery), Abitart is a stylish contemporary hotel with good customer service and well-appointed bedrooms. The location is a short bus, tram or Metro ride from most of the city's sights - and close to the trains for Ostia Antica. I found the hotel very comfortable and would recommend it. Hotel Art is a striking modern hotel on the historic artists' street Via Margutta. The bold contemporary style and bright colours make this an unusual hotel for Rome, and a special - though pricey - place to stay. The location is good, especially for keen shoppers. 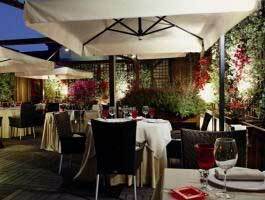 A smart modern hotel on the Vatican side of the Tiber, with a panoramic breakfast roof-terrace. 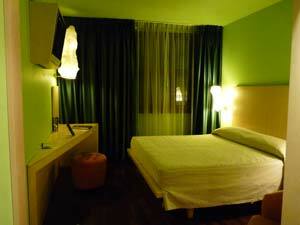 The hotel is elegant and contemporary in style, though not cutting-edge. It's an affordable place to stay, with some good online deals. The new-ish Cinemusic Hotel is modern, ambitiously stylish, and one of the most 'contemporary' options you'll find in Rome. The hotel is cheaper but also less luxurious than some four-stars. Early guest reviews were mixed, so read the latest feedback before you book. It's not in an obvious tourist location, but in a busy residential/shopping and very 'Roman' area near Re di Roma Metro station. I used to live nearby and the area is quite well-connected by public transport, while energetic visitors can walk to the Colosseum via the Basilica of San Giovanni in Laterano. 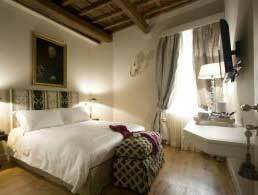 Part of the luxury Boscolo chain, this five-star near Piazza Barberini pulls out all the stops to be a modern and striking place to stay. Although grand, it is not for everyone, and some reviews are disappointed. 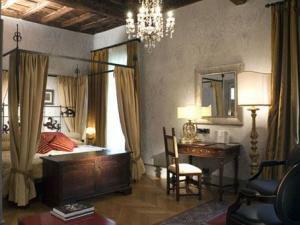 The hotel is tucked away in a side street off Piazza Barberini, a fairly central location. Another Boscolo hotel, the Exedra is in Piazza della Repubblica, a good spot for high-street shopping and transport links. It's a fashionable and classy place to stay, with interior design and furnishings veering from traditional luxury to smart modernity. A very smart and comfortable four-star in a good, quiet location down a narrow street near the Colosseum, the Capo d'Africa has a luxurious modern feel. It's a popular choice and at the top end of the four-star category. I've stayed there and would recommend it. If you're travelling on business or are not desperate to stay in the historic centre for sightseeing, you can find some good-value modern hotels in suburbs such as modernist business development EUR. 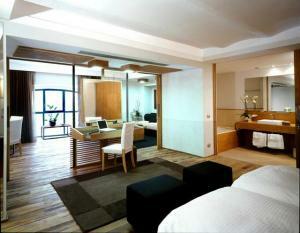 Near EUR, and close to a Metro stop, you'll find the contemporary-style Hotel Pulitzer. Unusually for Rome, the hotel is actually in a striking modern building a world away from the nineteenth-century architecture of most city hotels. Margutta 54 is a really swanky option for a special holiday. 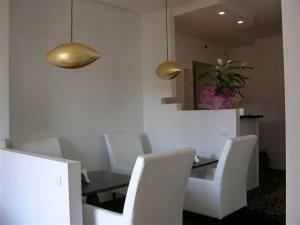 It consists of four classy contemporary suites with the service of a butler. Rates are expensive but not cripplingly so. 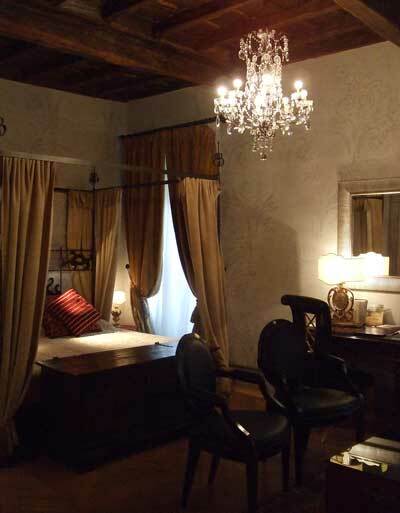 The suites would make great romantic hideaways for couples - or offer a better-value stay for 3 or 4 sharing. 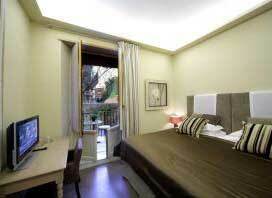 The suites are in a lovely location on Via Margutta, near the Spanish Steps. 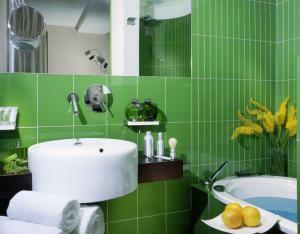 Selected below are some additional contemporary-style hotels and B&Bs in Rome. They didn't quite make it onto the list above, but they are more options for a cool design stay, or for modern comfort.